The Division of Information Technology (IT) offers classroom technology packages designed to accommodate the demands of UCA’s various classrooms and settings. IT has consulted with our classroom technology vendor to provide advanced, budget-friendly options available through Arkansas’ Audio/Visual state contract. Click the tabs below to browse through the various packages. Build your classroom technology package by using the form below. Please allow 4-6 weeks for delivery and installation. In addition to purchasing a complete classroom technology package, you may purchase individual components of the packages to augment or replace individual pieces in a room with pre-existing technology. All prices are less applicable Arkansas sales tax. When ordering, please reference Quote #AAAQ5240. Additional cables and accessories may be required depending on the individual installation location and pre-existing equipment. To assess your classroom’s current needs, please contact Matt Tanner (mtanner@uca.edu). The Standard LED Panel package works best for small to mid-sized classrooms. The 70″ television mounted on the wall provides a vivid, clear image for presentations that students can see easily. Estimated price includes cabling, wiring, professional installation and delivery, and other necessary miscellaneous materials. The Advanced LED Panel pincludes all of the technology available in the Standard LED pacackage works best for small to mid-sized classrooms. 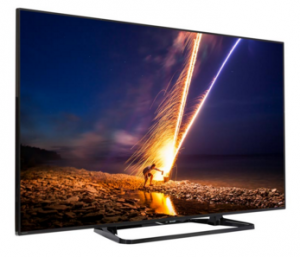 The 70″ television mounted on the wall provides a vivid, clear image for presentations that students can see easily. The podium is also fitted with a state-of-the-art document camera, Blu-ray player, presentation source controller, and microphone system. 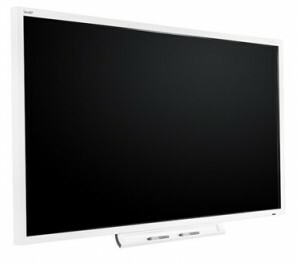 The Standard SMART Board package works best for small to mid-sized classrooms with courses that require the use of a SMART Board. The Advanced SMART Board package works best for small to mid-sized classrooms with courses that require the use of a SMART Board. The podium is also fitted with a state-of-the-art document camera, Blu-ray player, presentation source controller, and microphone system. For Auditorium style classrooms that seat a higher audience capacity, IST will recommend an individualized technology package that is based on the size and layout of the classroom, and needs of the department. For a comprehensive classroom technology assessment and consultation, please contact IST’s Classroom Technology Coordinator, Matt Tanner.